Cute girls sleeveless blouse with straps by Kenzo Kids with all blue 'Cubic Flower' print on the front, a key print from the women's wear collection. Made from a soft lightweight cotton it has a smart collar and fastens with poppers down the front. A perfect top for adding that extra element of colour to a pair of trousers or shorts. 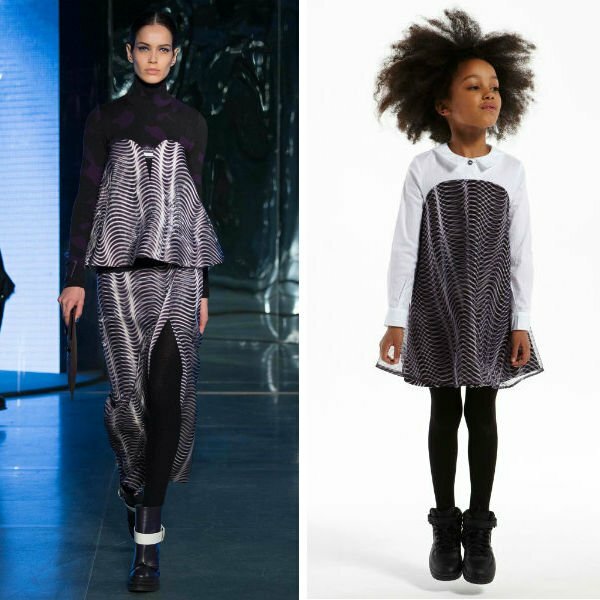 Adorable Mini Me Look Inspired by the Kenzo Women's Collection featured on the runway at Paris Fashion Week. Ships Worldwide.